Officials have gone the extra mile to make Montgomery Regional Airport a viable option for travelers. Now they are seeing the results of their labor as the airport has reported and 11% growth in passenger traffic. An eleven percent increase in passengers equals roughly 34,000 passengers. Last year the airport added two non-stop flight. One to Washington D.C. and one to Sanford-Orlando. They also made updates to the facility like the opening of new restaurant, concierge service, updated interior, and charging stations throughout the airport. 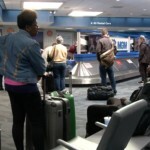 Officials say they will continue to look for ways to improve air travel out of Montgomery. Right now airport officials are exploring flights to and from the West coast.